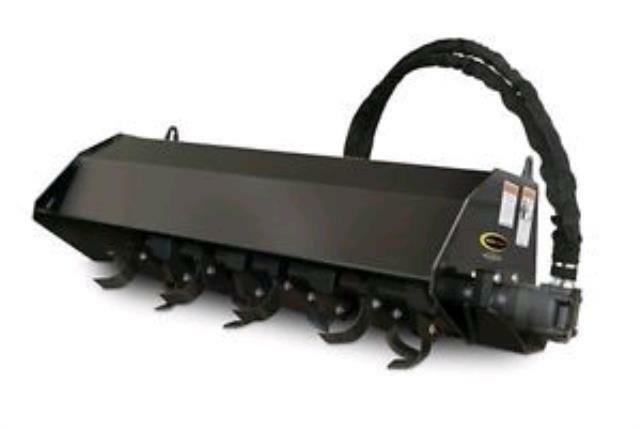 Rotary Tiller attachment for a Dingo, Vermeer or Ditch Witch Mini Track Loader. Will also work on Bobcat MT52 with adaptor mount plate. 50.5" wide Tilling width 37"
WEIGHT: 570 LBS WORKING DEPTH (MAX): 4"
* Please call us for any questions on our tiller 50 inch bobcat/dingo rentals in Portland OR, Gresham OR, Milwaukee OR, and surrounding metro area.